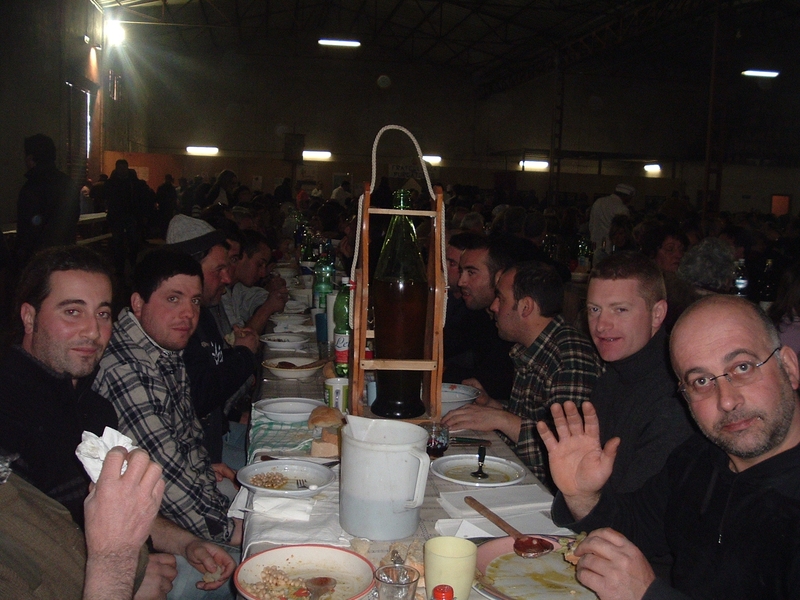 On Ash Wednesday in the tiny town of Gradoli on Lake Bolsena in Northern Lazio, members of the Confraternita del Purgatorio (roughly the Purgatory Religious Brotherhood) serve a seated luncheon for more than 2000 people, as they have been doing for the past 700 years. Bundled up against the cold, diners find their numbered places at the long trestle tables that stretch the length of the unheated wine warehouse. Crockery, glass, fork and knife are carried from home as are the many bottles of wine that are shared with others at the table . . . homey hospitality is the main ingredient of this festa. Old and young members of the confraternity become cooks and waiters for the day preparing the Pranzo del Purgatorio (Purgatory Meal) for no women are allowed in the camp kitchens. The young waiters zip among the tables carrying huge platters emblazoned with the confraternita’s coat-of-arms while older members toil over gigantic copper cauldrons bubbling over open fires, ensuring that the closely guarded recipes are prepared according to tradition. 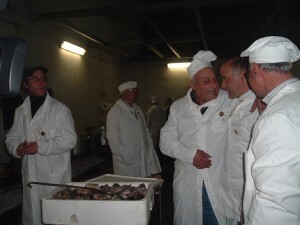 The menu, of strict Lenten fasting, has remained unchanged through the centuries and includes beans, fish broth with rice, fried whiting, pike and baccalá (cod) and for desert – an apple. Archaic music and serenades break out as the ruddy-faced guests finish the last courses and the empty bottles multiply. The noise level rises to a pitch as the confraternita’s drummer and standard bearer march around the hall soliciting cheers and offerings that will be used for local charities throughout the next year.